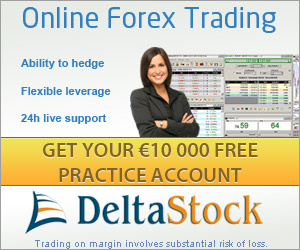 Deltastock was formed in 1998, and now it deals with CFD as a global forex broker. The firm has experience of over 12 years, until now, and they are always managed to bring the best solutions for their customers. Its head office is in Sofia, a city of Bulgaria. The official and regulatory branches of deltastock are in London, Madrid, Romania, and more. Deltastock provides a variety of key features, but we are highlighting a few ones here. On deltastock, you have the option of trading with either Delta Trading or Metatrader4. A remarkable ECN system is offered along with more than six liquidity providers who offer 0.1 pips of spread. 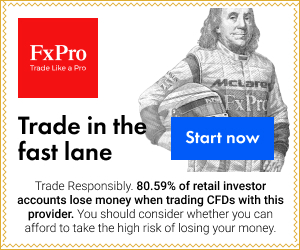 You can find daily and weekly forex charts that are loaded with technical analysis, and with that you are offered a very responsive 24 hours customer support. To open an account on deltastock for trading purpose, all you need is a fund of $100. On the standard account, the maximum leverage is 1:200. With that, one can also use mini, standard, and micro slots. To open a metatrader4 account, you only need a balance of $100. Delta trading is the built in trading platform on the deltastock that gives the options to the customers for using more than 72 currency pairs, silver and gold, more than 1000 CFDs, commodities and oil. All this can be done through just one account. The best feature of Delta Trading is that it manages to combine variable and fixed spreads in the best possible ECN environment. Just be reaching on the level two, customers can enjoy trading with various high level commodity providers. Metatrader4 includes the execution of the top-level clients that are highly expert in this niche. Just like Delta’s trading, here customers can as well trade in over 72 currency pairs. Micro and mini lots are also provided to the customers.